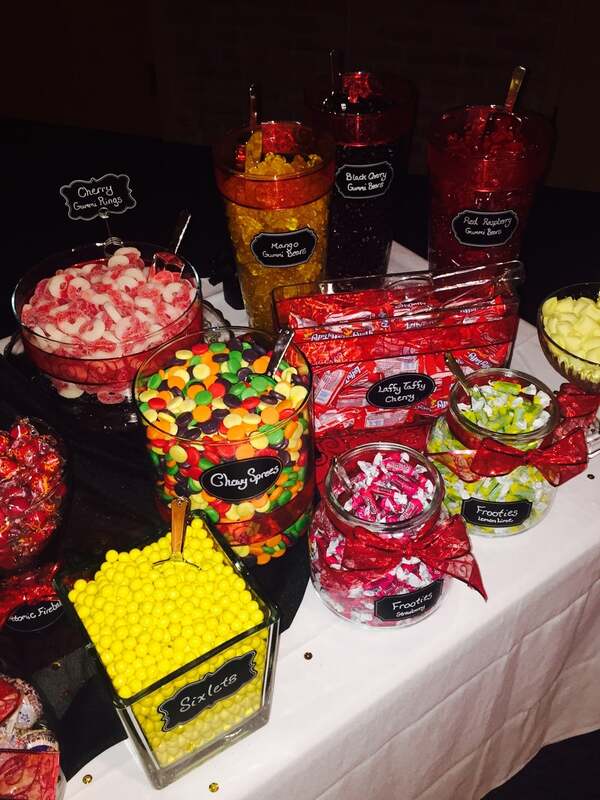 OTR Candy Bar is the perfect choice to make any occasion sweet! Whether it be for a birthday celebration, a sweet wedding buffet, or a candy bar for your next event, we are the experts! Use our store space for fun and new setting for a meeting or gathering. OTR Candy Bar, with its wide variety of treats, creates an environment full of fun for everyone! $25.00 per child - 90 minutes - Includes activities, candy, cupcakes and more. $3.50 (1/4lb) per person - Includes assorted candies, set up, break down, glass containers, custom signage. *Delivery fee not included. Minimum of 30 people.